For years, Kamala Harris was a rising political star. Now, she's arrived. An Oakland native and former San Francisco district attorney, the newly elected U.S. senator was back in the Bay Area on Tuesday night, talking about President Donald Trump and her own future in Washington, D.C.
Harris has visited with Syrian families at a refugee camp in Jordan. They are families she says the United States should welcome. "They are referred by the U.N. after two years of vetting," she said. "When they arrive at our border, all that has happened is they've cleared vetting." The senator also met with U.S. service members in Iraq, a group she plans to stand up for during the budget battle. "The idea that we want to cut services for servicemen and women is immoral," Harris said. With the fight against the Islamic State continuing and the U.S. taking military action in Syria and Afghanistan, Harris says the Trump adminstration needs to detail its plans in the Middle East. "It's deeply troubling," she said. "The American people deserve to know what our strategy is." North Korea also is a concern, one that the president says he shares. 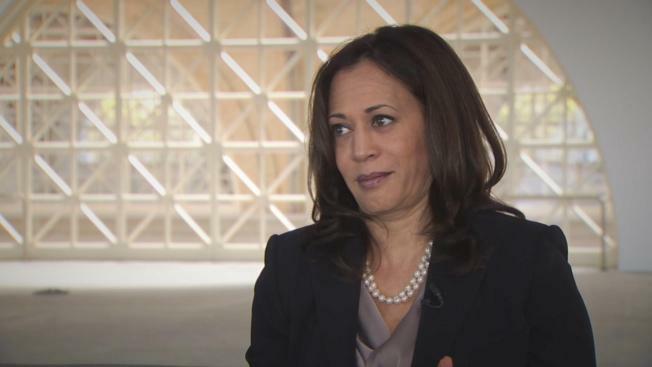 As a member of the Senate Select Committee on Intelligence and the Homeland Security and Govermental Affairs Committee, Harris believes the commander and chief needs to be more presidential. "An administration who wants to outdo a dictator who is unpredictable by having a Twitter storm back and forth, that's irresponsible and potentially dangerous," she said. With Republicans in control and protecting the environment and immgration reform also topping her list of concerns, Harris says there is a lot of work to do. "We have to keep fighting," she said. As for her political ambitions, such as future plans to run for president? "I don't even know what I'm having for lunch," she said.